There’s some bizarre experiments carried out in the name of research. Being a bit of a nutritional geek, I often receive updates from published articled and recently one caught my eye. But because of the side story that accompanied it. A researcher removed part of a rats brain (a section of the hypothalamus) that controlled the desire to consume food and fluids. As expected, the rats didn’t bother eating or drinking and died of starvation and dehydration. ( No surprise there!). But some of the rats lived longer than others. 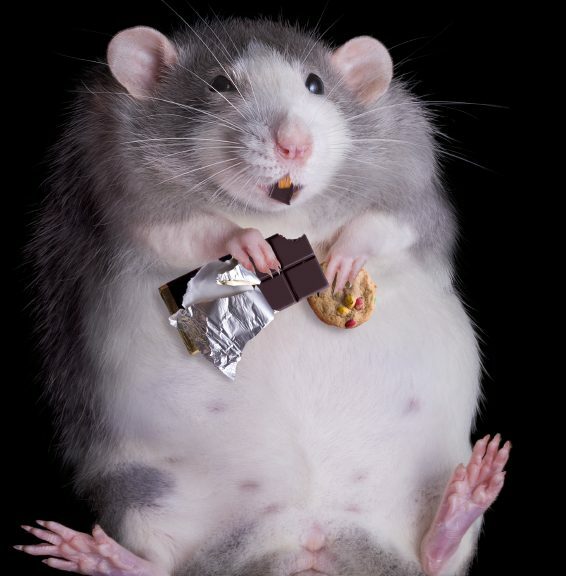 One researcher that was part of the experiment would snack on chocolate when he entered the lab and would even give some if the rats a little. He did it that often, when he entered the lab, the rats would line up ready to receive a but of chocolatey goodness! DESPITE having that part of the brain removed that controlled appetite! Because amigo, it illustrates how powerful the desire for things we believe we want can be, even stronger than things we actually need! A bit like when you convince yourself you ‘want’ a new shiny car or ‘want’ that expensive time piece. When the reality is you actually ‘Need’ to be doing something about your health, your physique and your mindset! You get distracted by the shiny wrapper and become oblivious to the fact you should be investing time, energy and funds into your own development! Like the guys in my coaching programme, that have chosen to build a solid foundation for their family and loved ones. Although you can’t apply at the moment, you can get a taste of what it’s like to take control of your body, mindset and progress with my ‘Build+’ or ‘Burn-‘ programme’s! Which will sell out even before the Joe public launch at its current rate, with only 50 spaces available and 11 already gone! Make sure you state which programme you’re interested in in the comments section!